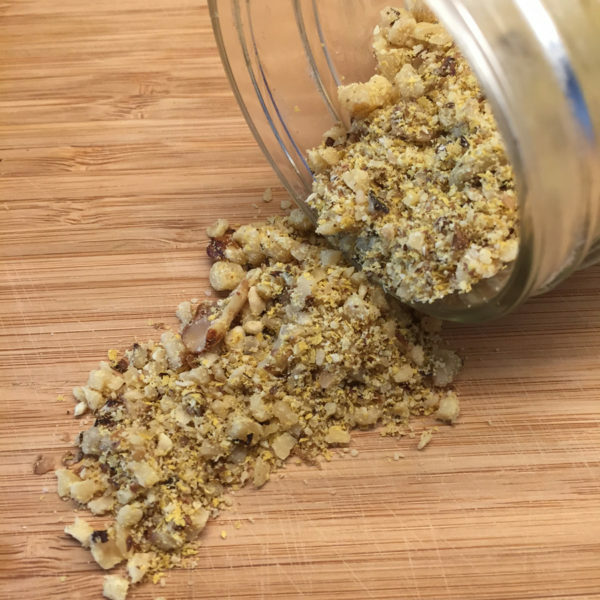 Vegan parm nuts topping for pasta, salads and more! It’s such a simple thing, but this little topping can take a pasta meal from plain to fabulous. It adds a little crunch thanks to the nuts and depth of taste thanks to the nutritional yeast and, if using, olives. 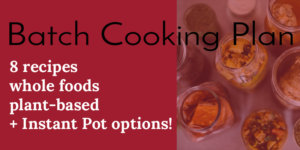 You can also use it on casseroles, salads, or anywhere you want, really. No need for cheese! This vegan parm tops it all. I have stashed a jar of Vegan Parm Nuts in my in-laws’ refrigerator. My mother-in-law often makes vegan pasta for the whole family but the omnivores add their parmesan cheese on top. Now I have my own source of umami. 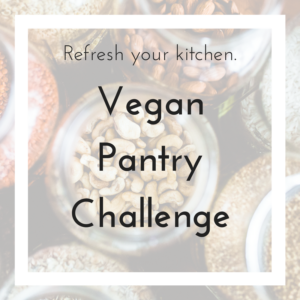 Just like all the recipes I share, it is meant to be customized to your own taste and to what you find in your pantry. If you are lucky enough to have local nut producers, support them! Makes a great topping for pasta and casseroles. Walnuts are a great source of super-healthy fat. Powdered garlic helps keep this tasty for longer. If you are confident you’ll eat it all within a week, use fresh instead. This recipe yields about 2 one-cup canning jars. 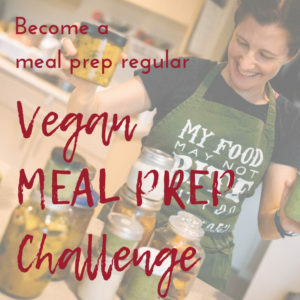 You can keep one in the fridge to be consumed within a month and the other one in the freezer (crumbled nuts can go rancid faster than whole). 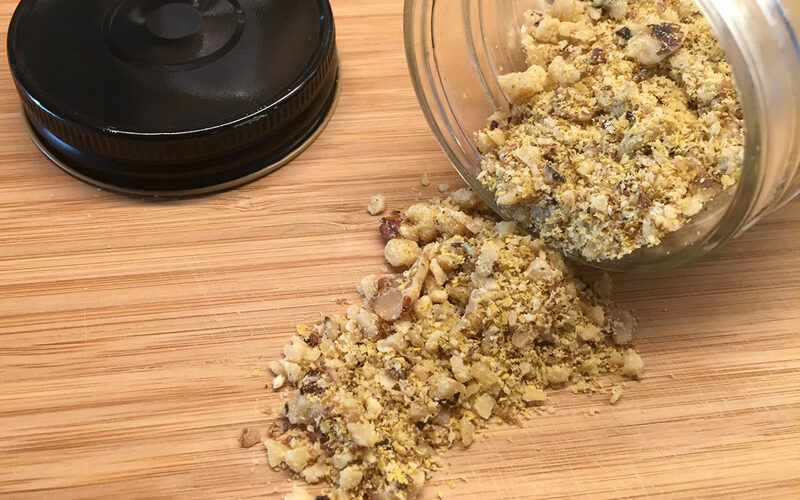 Pulse a few times in a blender or food processor until a crumbly texture is achieved. Do not over-process or it will rapidly turn to powder. You can enjoy raw or roast in the oven on medium-low temperature (275F) for about 20 minutes, stirring at the halfway point.